Samsung is reportedly trying to “make a comeback” in the OLED TV market by combining the technology with its quantum dot displays in order to build display panels that can effectively challenge its main rival LG. The report from Digitimes Research is somewhat brief. However, the main motivation behind Samsung’s planned shift to QD-OLED is that the company remains unable to compete with LG in terms of sales, Digitimes said. Samsung has in the last couple of years tried to pitch its quantum-dot LCD panels as a viable alternative to LG’s OLED TVs, but has been unable to match its rival in terms of sales, despite its technology being more competitively priced. 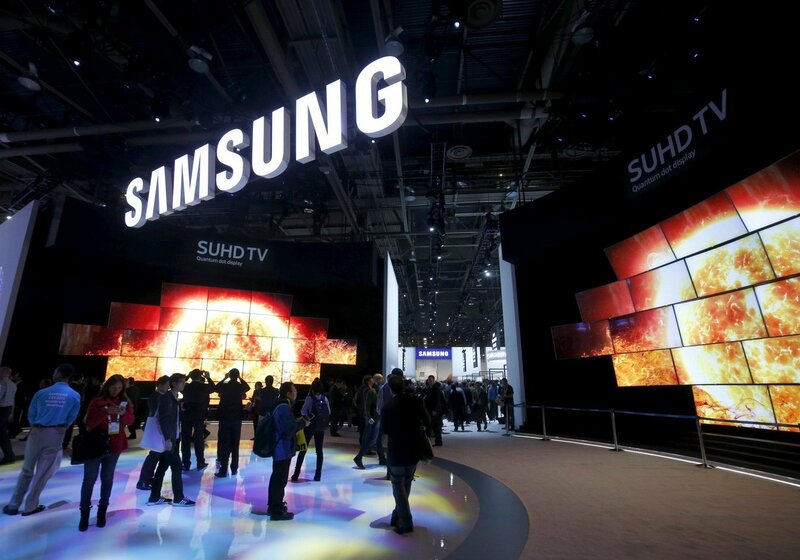 Samsung’s reported development of a Quantum Dot OLED TV isn’t really a secret. The first rumours that it was working on the technology emerged early in 2018, and those whisperings were followed by more concrete evidence in the form of a report from Display Supply Chain Consultants in October. At the time, DSCC cited anonymous sources as saying that Samsung would begin production of its first QD OLED displays in late 2018. The company was reportedly set to begin manufacturing 5,000 units per month to begin with, before ramping up production to 30,000 units a month by 2021 if it can make things work. It’s not clear if Samsung has already begun production, as the company has not made any official announcement regarding its QD OLED plans. DSCC also noted in its report that Samsung would have to overcome several challenges before it can think about mass producing QD OLED panels. For example, it may need to develop a new, next-generation blue OLED emitter material such as phosphorescent or TADF in order to double-layered fluorescent blue emitter to try and create a high quality blue. Samsung’s proposed structure also requires the use of a Yellow Reflective Film to allow for blue light to pass through directly, with reds and greens being reflected forward. There’s also a need for a “quarter wave plate” to shut out any ambient light that might negatively effect the sensitive quantum dots. In addition, Samsung will need to design a colour filter in front of the red and green sub-pixels to filter out the remaining blue light, because current quantum dots are unable to absorb all of this. Despite the challenges, the prospect of Quantum Dot OLED is an exciting one. OLED’s best qualities are its extremely rich contrast ratios. Meanwhile, Quantum Dot uses semiconductor nanocrystals to produce pure monochromatic red, green, and blue light that delivers more vibrant, natural colours. A combination of the two should therefore be quite compelling, although we can only speculate as to the kind of image quality such technology could deliver. Assuming Samsung can overcome these issues, Digitimes says the company will attempt to “create a niche market” for its QD OLED displays. Most likely that means they'll come with a pretty hefty price tag, at least to begin with. The same report from Digitimes adds that LG may attempt to counter Samsung’s QD OLED tech with new OLED panels at even higher resolutions and sizes, in an effort to boost the ratio of OLED TV panel sales to 20 percent of its total revenue by 2020.